Our Pearl Lounge at airports in the Middle East, India and Africa afford unsurpassed comfort for first and business class passengers and other travelers who wish to pay for access to the many concierge conveniences offered. Time on the ground becomes productive with comfortable seating, private meeting rooms, a business center and wireless internet connections, plus catering options and smoking rooms. Children’s play areas, a relaxation room, lavatories with amenities, as well as meet and assist services put travelers en route at ease. Our multi-cultural, multi-lingual NAS staff is sensitive to the unique expectations of a diverse population of travelers. Behind every warm welcome is a backbone of technology, training and management that guarantees guests seamless service every time they visit a Pearl Lounge. Our Pearl Lounge in international departures at Kuwait International Airport and Sheikh Saad Terminal is 475 meters squared and has a capacity of 145 simultaneously seated passengers. Some of the airlines using the lounge include Etihad, Qatar Airways, KLM, British Airways, United. Lufthansa, Egyptair, Singapore Airlines and Ethiopian. Run in conjunction with Regency Hotel, we provide a full range of drinks and an omelet station at breakfast and a comprehensive buffet at breakfast lunch and dinner. Open 24/7 we offer a range of snacks, treats and fresh fruit throughout the day. With complimentary tablet access at our charging stations, a smoking room, a children's play area and restroom and shower facilities, our Pearl Lounge in Kuwait has handled almost 300,000 passengers annually. As well as providing lounge services to our wide spectrum of airline customers, we also welcome walk-in passengers, Priority Pass members, Airport Angels members, AMEX, Diners and MasterCard cardholders. Our 575 sq. meter Derwaza Lounge in Kuwait has been contracted by Emirates Airlines for the exclusive use of their First, Business and Skywards Gold and Silver members. NAS are capable of building and operating lounges exclusively for VIP use, lounges for first and business class passengers in either an airline or airline alliance specific lounge or a shared user lounge depending on each airports requirements and the local market conditions. Our experience with lounges in multiple locations ensures that we take the best of our international knowledge and adapt it to each individual market we operate a Pearl Lounge in, ensuring the needs of the local and international travelers are met in every lounge. 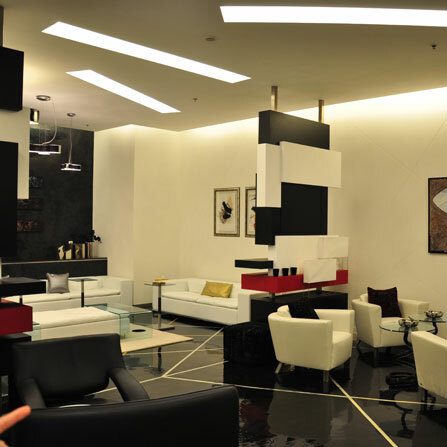 Our new Pearl Lounge in international departures at Kigali International Airport opened on the 2nd August 2011. 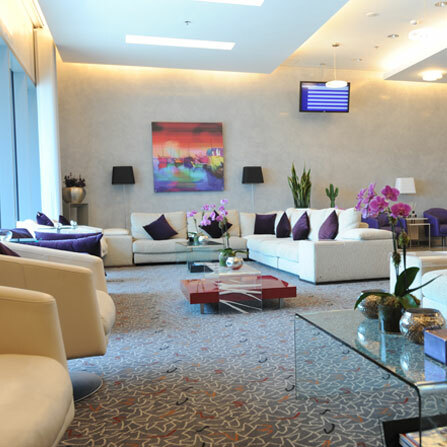 The lounge is 185 sq meters and has a capacity of 54 simultaneously seated passengers. It is capable of being divided into two individual lounges to cater for both arriving and departing passengers in two separate isolated lounges. High speed Wi-Fi internet and over 100 electrical sockets will allow passengers to catch up on any last minute emails while ensuring any phones, laptops and other devices are all fully charged. 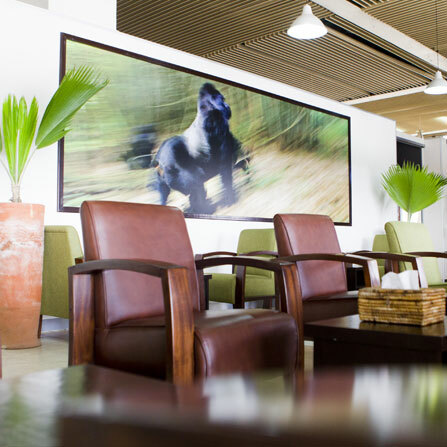 As well as providing lounge services to our wide spectrum of airline customers travelling in Business and First Class, the Pearl Lounge in Kigali also welcomes Priority Pass members and Airport Angels members. A large portfolio of corporate customers enjoy the use of the Pearl Lounge in Kigali, as do major tour operators for their clients. Airlines using the lounge include SN Brussels, KLM, Kenya Airways, Ethiopian and Rwandair. We know that a stress free journey starts from the first enquiry, through to making a booking and then arriving at the airport. Guests can talk to our dedicated call centre, use our online booking engine or book through their travel agent. With www.pearlassist.com being one of the leading search engine picks when looking for VIP services, the existing brand strength would add to the commercial drive and expansion. Supported by latest generation IT, NAS has an experienced sales force in the region and a proven expertise driving the corporate deals needed to promote our services.